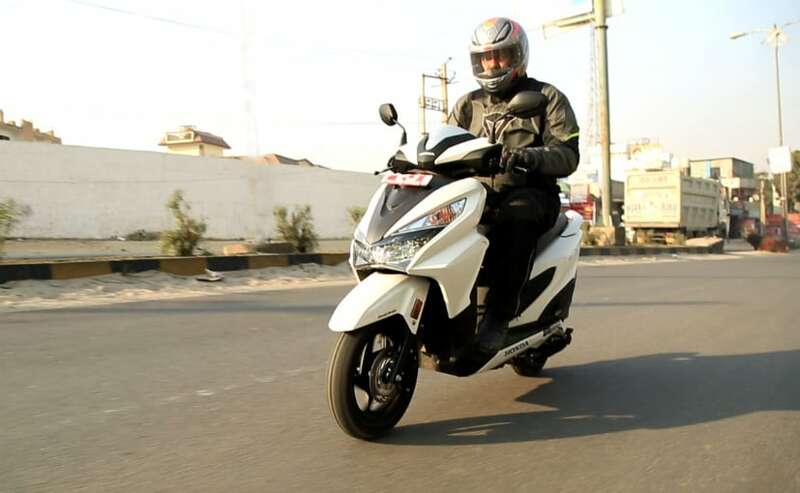 Honda Motorcycle and Scooter India (HMSI) has announced that the flagship 125 cc scooter, Honda Grazia, has sold more than one lakh units in less than five months since the scooter was launched. The Honda Grazia was launched on November 8, 2017, and gets a complete upgrade in terms of design and features, although the powerplant is shared with the Honda Activa 125. The Honda Grazia has become one of the big sellers for HMSI since its launch and was the first scooter in the 125 cc segment to get a full-digital instrument console and all-LED headlights. "Equipped with innovative segment first features like LED Head lamp, fully digital meter with 3 step Eco speed indicator along with modern styling sets it apart in the segment. The phenomenal response from young urban customers reaffirms that more and more upwardly mobile youth who desired an advanced, stylish, powerful and convenient scooter are now buying the Grazia," said Yadvinder Singh Guleria, Senior Vice President - Sales and Marketing, Honda Motorcycle and Scooter India. The Honda Grazia is one of the most striking scooters in the 125 cc segment with fresh design and a tried and tested 125 cc Honda engine, which is tuned for 8.52 bhp and 10.54 Nm of peak torque, paired to an automatic CVT transmission. Telescopic front suspension, alloy wheels and a combi-brake system lend the Grazia a long list of features, including ample 18-litre underseat storage as well as cubby holes for additional storage. The Honda Grazia competes with the most popular scooter in the 125 cc segment, the Suzuki Access 125, as well as the recently launched TVS NTorq 125.